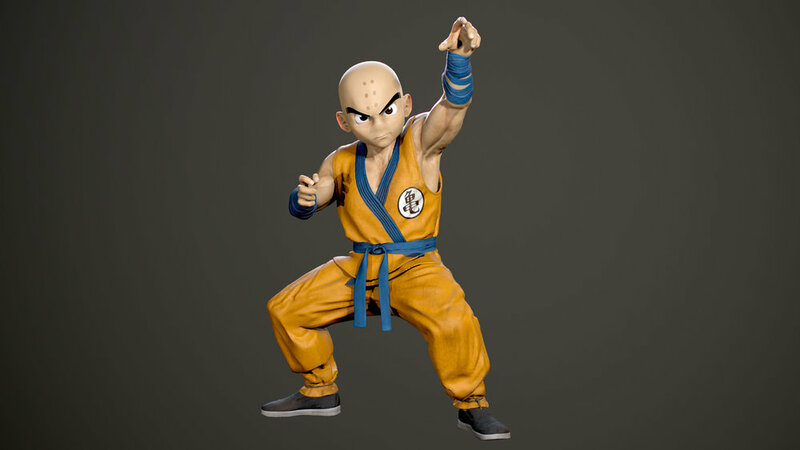 Tasked with creating Krillin from the popular anime, Dragon Ball Z, we had a little creative freedom to add a bit of our own style to this iconic character. The goal was to blend between stylized and realism while still showing his strength. 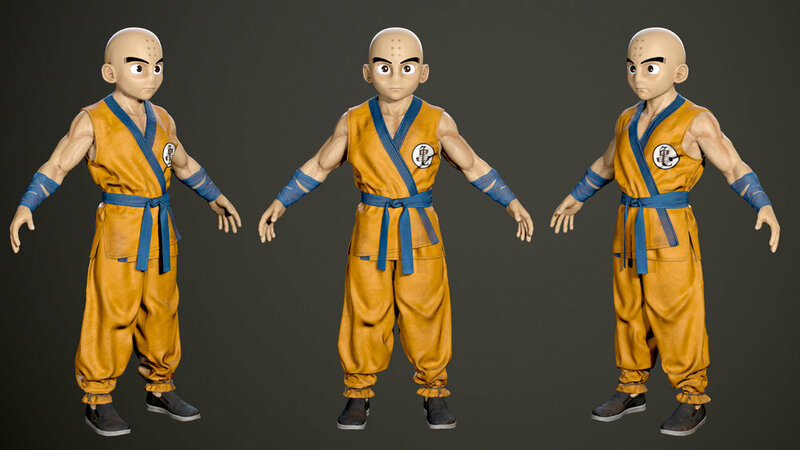 The final high resolution character was then rigged and animated by our partner studio in France for a charity Dragon Ball Z fan video. The finished character is also ideal for 3D printing to sit solid on a desk.